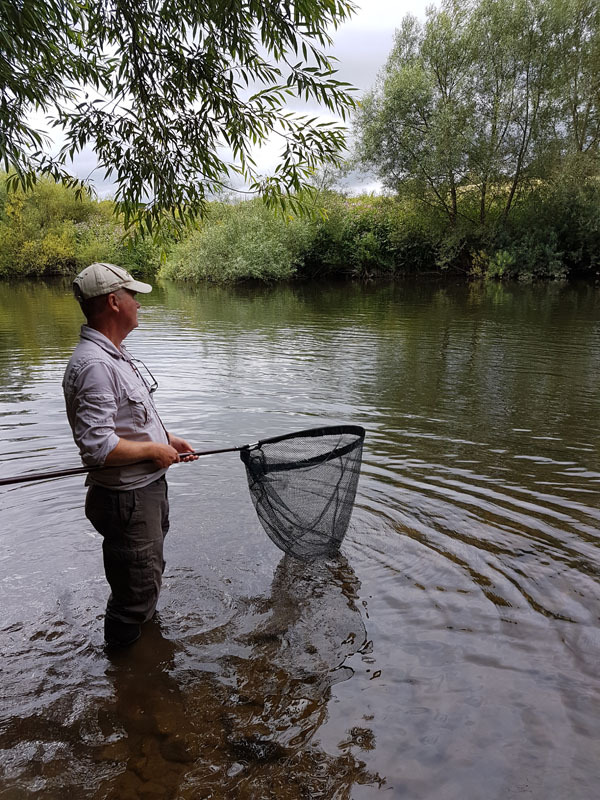 I had guided Luke a couple of times for tench and barbel on the river Wye and this time he wanted his mate James to come along. 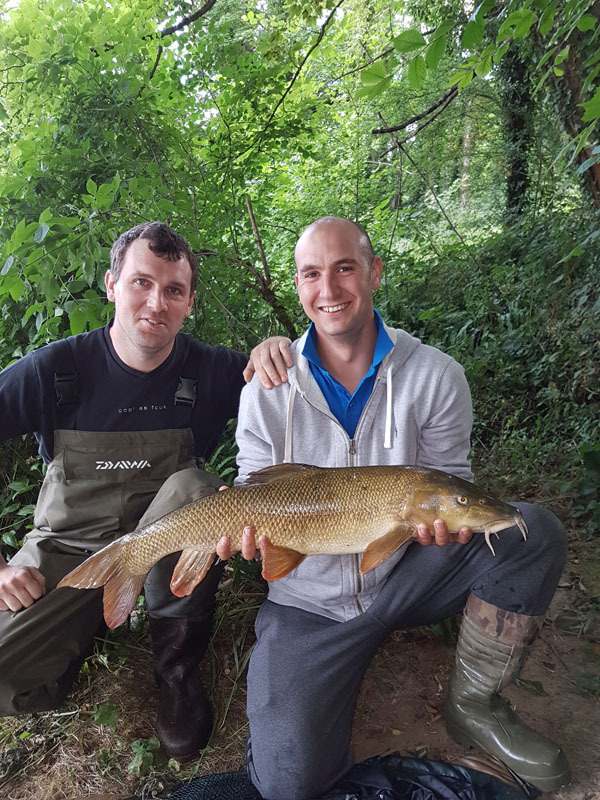 The day before Bill and Dan who caught a few good barbel. Again we arrived early and the only difference of the river was that it was up about 6″ and pushing through more. The same swim was fishable and things looked good. 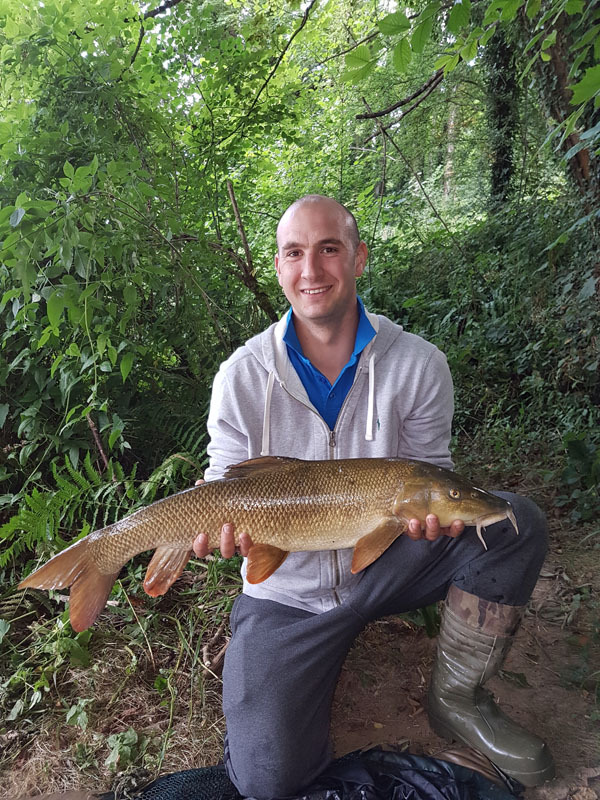 First on the rods was James and guess what at 8am he hooked a barbel only for it to fall off or through a hook pull. 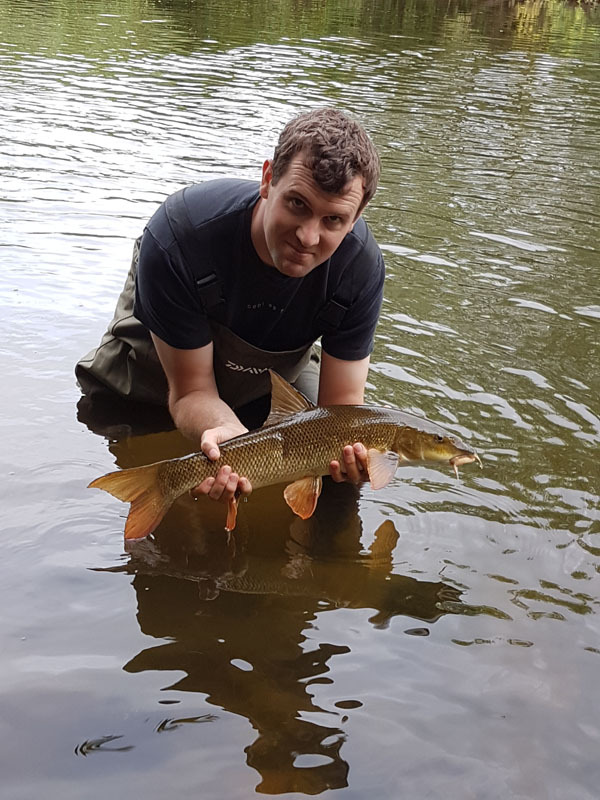 He didn’t have to wait long for his next bite and it turned out to be his very first barbel and after an epic battle he landed a real lump of a fish. It turned out to be 9lbs 15oz. Then it was Luke’s turn and it took him all of 15 mins before he had a 6lb plus fish. 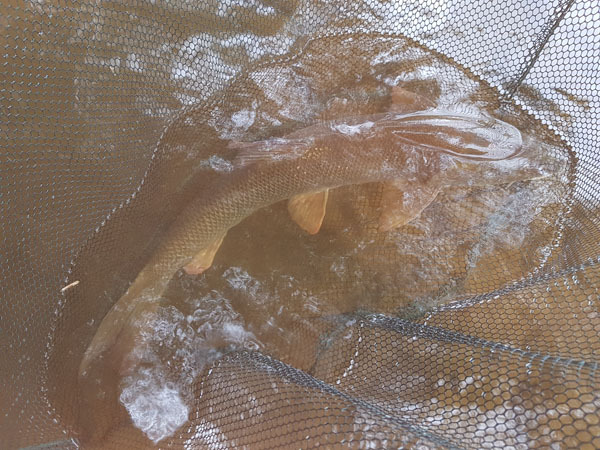 The fish continued to feed throughout the day and they had great fun taking in turns to land the chub and barbel. James had some chub to 3lbs 13oz which was another pb for him. 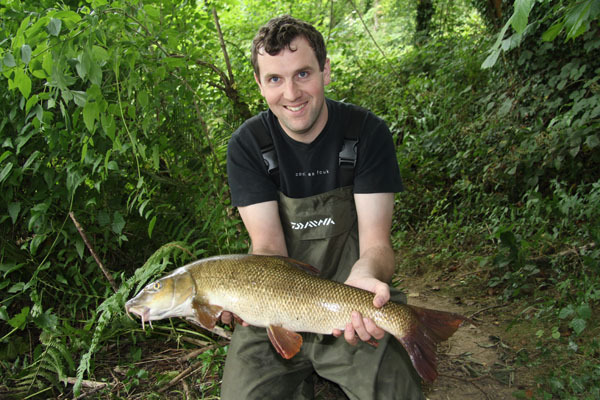 Lukes largest barbel was 7lbs 10oz which is not a pb but still great fun in the fast flowing river. 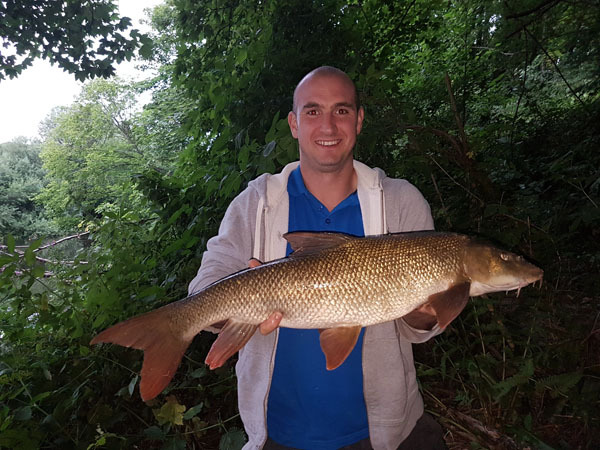 At about 6pm James hooked and landed another good fish of 9lbs 14oz and on closer inspection indicated it was the same barbel he landed earlier in the day at 9lbs 15oz. 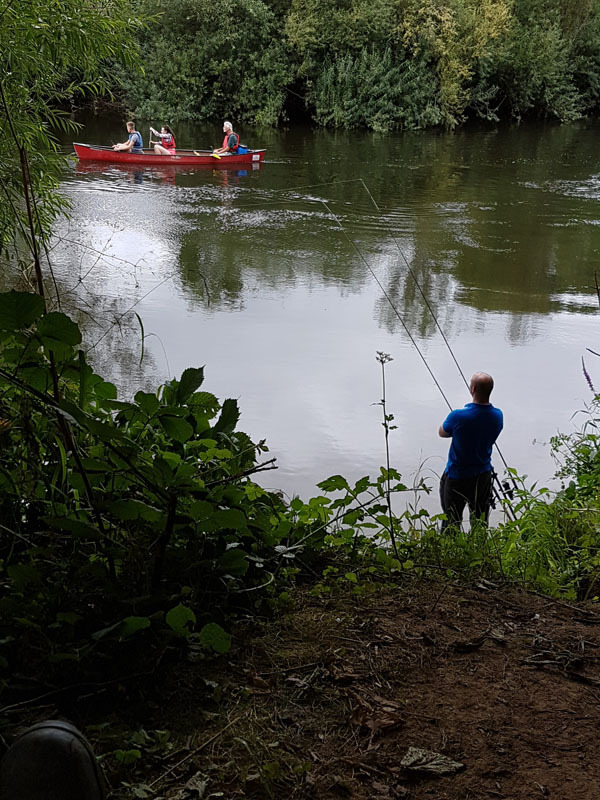 Funny old game as Luke landed 6 and 7lbers James was having a great time landing another 9lber. 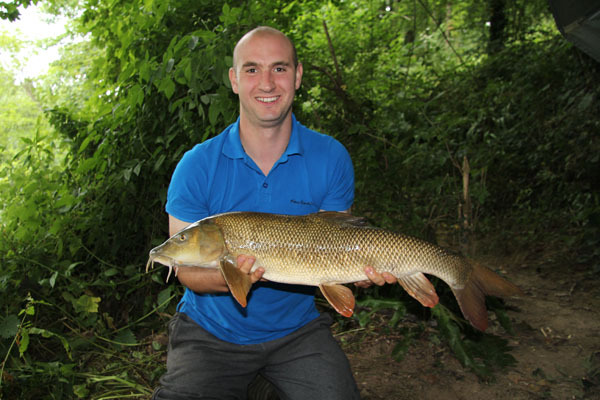 James had another large barbel of 8lbs 10oz as a last fish of the day and was pretty excited by the whole day. I had a fantastic day with the two of them. Thanks very much Guy’s. This entry was posted on Sunday, August 7th, 2016 at 8:44 pm	and is filed under Uncategorized. You can follow any responses to this entry through the RSS 2.0 feed. Both comments and pings are currently closed.